Why SME WORLD, the Magazine? Despite being the drivers of the economy, the media has rendered little attention to SMEs. Amidst the glitz and glamour of the corporate word the dim and murky world of the ‘Small’ industries fails to draw the limelight. Their concerns and issues conveniently get swept under the carpet. It’s an irony that even after six decades of sweat and toil since independence, the SMEs have still not got their due place of honour in the prestigious columns of our magazines and newspapers. TRP-hungry business channels (the electronic media) are preoccupied with the current and future prospects of tycoons. However, the small entrepreneur is no where seen on the small screen. For long, SMEs have felt the compelling need to voice their concerns. They have pined for a platform which can represent them and recognize them for their substantial contribution to India’s growth story. Doling out a few awards has been no sustainable encouragement. For these long felt needs, SME WORLD has come as a welcome answer. 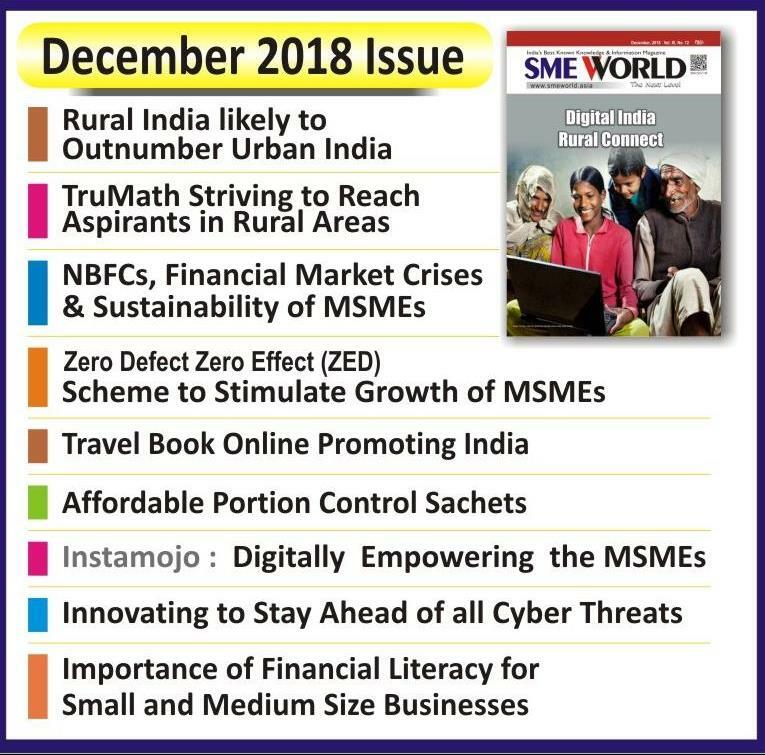 India’s only magazine for SMEs so far, SME World has won wide acclaim for its formidable efforts to address the concerns of the small and medium enterprises in India. SME WORLD talks about business not only in terms profitability and growth but in terms of ethics and common social welfare as well. It embraces the humble entrepreneur, whose business merely ensures him a graceful existence. This magazine celebrates the spirit of the small entrepreneur who is constantly under threat from the bigger fishes but survives, owing to the dint of hard work and an undying fire in his belly. The magazine made its appearance in August, 2008. SME World has since won rave reviews from readers of all ilks, “delightfully readable; out of the box, a sincere effort” and the like. Please enter your Email and Name to join.